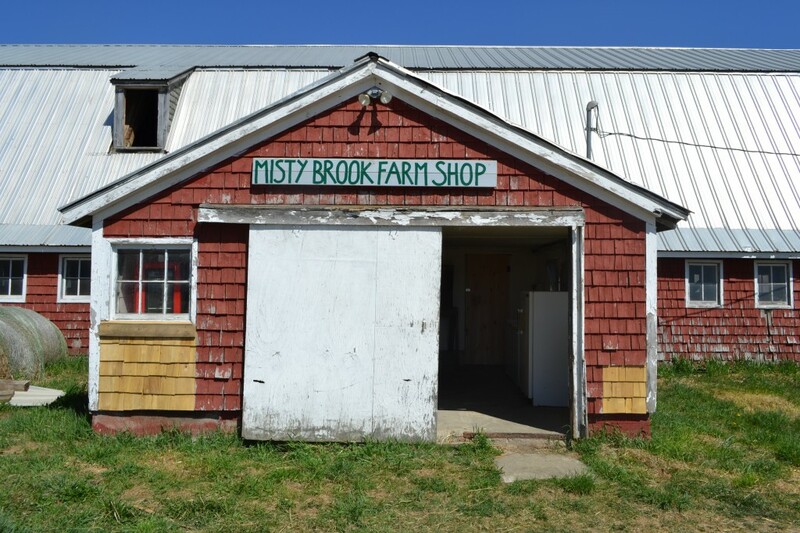 Our Albion Farm Shop is open daily on a self-serve basis at 156 Bog Road, Albion, ME. Most products are available year-round, but contact us to make sure the items you want are available. While you’re here, feel free to give yourself a self-guided tour of the farm. We have an open farm policy and you’re always welcome to walk around and see what we are up to. And if we’re are around when you come, we’d be glad to show you around and answer your questions. Organic Sausage: Selection of pork & mixed meat sausages, something for everyone! Organic Pastured Roasting Chickens (frozen): Our birds average between 4 and 5 lbs. Organic Soy-Free Eggs: From hens on real pasture. Alister’s Organic Vegetables: Available seasonally. Alister, our oldest son, has taken on the veggie crops and will be selling a great selection in the farm shop and at the Common Ground Country Fair. Come support an aspiring young farmer! Organic Stone-Milled Whole Flours: Whole wheat, whole rye and cornmeal are available year-round. Can also be ordered in raw, unmilled form. Organic Dry Beans: We have a fun selection of dry beans for every occasion in many colors. Organic Cover Crop Seed: Ask about our organic wheat, oat, & rye seed.